Tour Description: Meet our private tour guide at the arrival hall of Beijing airport. You could easily find him/her by the paper sign with your name on in his/her hands. 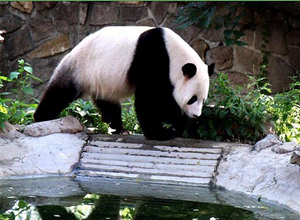 Drive to the city center to visit the majestic imperial palace-Forbidden City, and then transfer to the Beijing Zoo to see the cute pandas. Return airport after the trip. 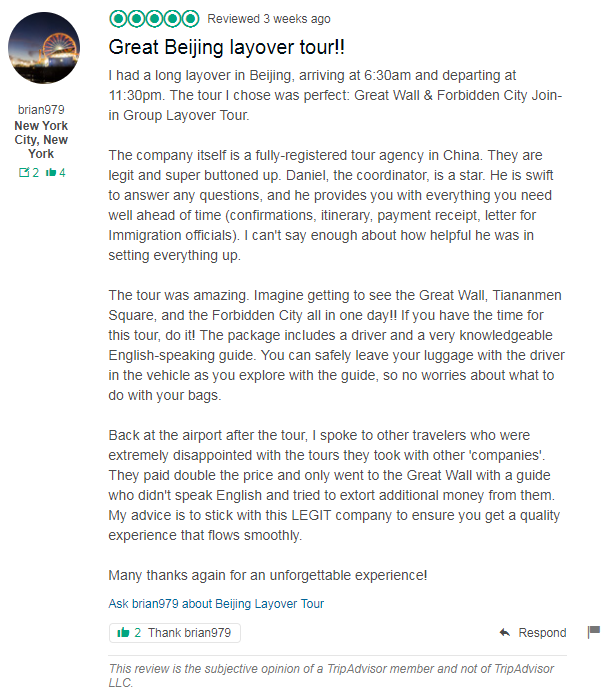 I’m interested in the Forbidden City and Pandas layover tour. Would I have enough time? How much would it cost? I’ll be alone. According to your layover time, you will have enough time to do the tour. The tour price based on 1 person is USD240. We can pick you up from your hotel and transfer you to airport after the tour. Just let us know your flight number in advance. We just sent you an email to you, please check it out. We arrive in Beijing at 6.20am and our return flight is at 7pm. Would there be enough time for this tour? According to your layover time, you will have plenty time to do this tour. About tour price, please let us know how many people do you have. We will send an email to you, please check.